Welcome to another wonderful Muffin Tin Monday! 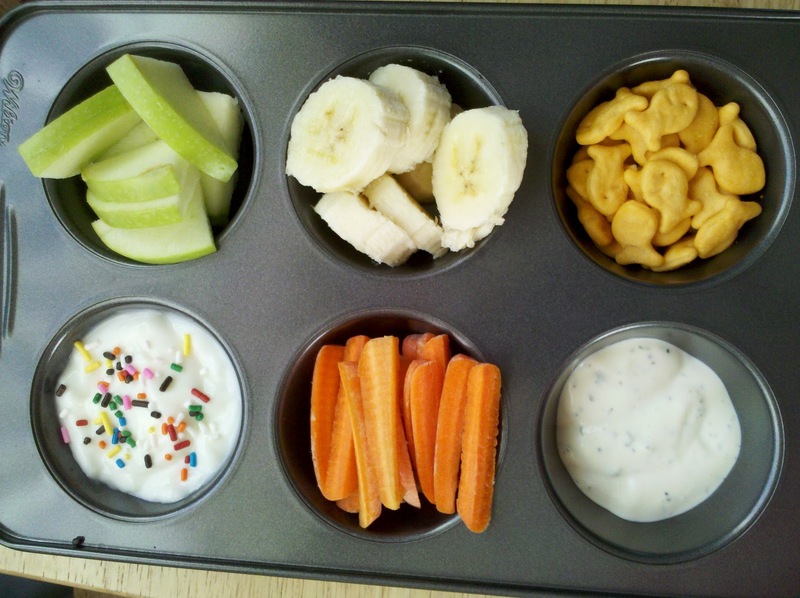 Are you having trouble getting your toddler, preschooler, child to eat healthier? Are you looking for creative lunch ideas for your kids? I will unashamedly recommend Muffin Tin Meals. It is a fantastic way to bring fun to mealtime! Every Monday, here at Muffin Tin Mom, we celebrate kids, creative food and eating healthy with Muffin Tin Monday. Sometimes we do themes. This week there is no theme! here's what we had today! That means you get to come up with your own varation on the theme: Christmas stories, Christmas ornaments, Christmas morning...let your imagination go! Now It's your turn. Would you like to participate in Muffin Tin Monday? Make a MTM for your kds, snap a photo and upload it to a photo sharing site and link it up here by clicking the blue "add your link" button. If you have a blog, post your photo on your blog and link it up here. Remember to include a link back to muffintinmom.com. I think JDaniel would have dipped everything. Looks yummy! I am so excited about Christmas as our next theme. Thanks for the idea of using storybooks. I always like doing storybook themed Muffin Meals when I can think of one. Happy Muffin Tin Monday! I am so appreciative of MTM, it has really opened a door to get my picky eaters to try new things. Have a great day!